8-Inch Sleek, Digital, Color Display. Slides to either side of the table. Allows the table to adjust to the exact angle for targeting a specific disc level increasing accuracy and specificity. Hand sewn, puncture resistant, long lasting vinyl. Easy to clean. Backed by extra durable, soft foam. Choose from over 9 colors. Safety feature allowing a patient to immediately stop the treatment due to pain, spasm, or discomfort. Shiny, rust resistant, long lasting finish with scratch resistant technology. Reinforced in the corners to decrease wear. Provides patient comfort and promotes relaxation and maximum hip flexion. The pelvic capture system securely captures the pelvis for a variety of body types providing just the right combination of fit and comfort. Fully adjustable with the perfect combination of secure fit and patient comfort. Less discomfort, slipping, and pressure than other decompression systems. Real time graphing gives the practitioner immediate feed back allowing for treatment adjustments and protocol fine tuning to increase comfort and accuracy while decreasing spasm discomfort. Our custom software allows for easy, fast, fine tuning of time, force, angle, hold and relax times and table height making every treatment fully customizable, specific and effective. A 21 to 29 inch range allows for customizable working height and accompanies a variety of patient body types. Panels to eliminate pinch points. No foot pedals leaving fewer cords to trip on. Continually measures and responds in milliseconds to decrease spasms promote relaxation and encourage higher negative pressures. Our patented harness system allows you to set up patients quickly and effortlessly saving valuable time and increasing results and reproducibility. We dont sell you a table and then wish you good luck. We walk you through every step, every program and every system that will make this a PROFITABLE business venture and NOT just another therapy to help a few more people. More Than Just Equipment—We Equip YOU! We dont just send you a table and then leave you hanging. That wouldnt do our product justice and that wouldnt be fair to you. 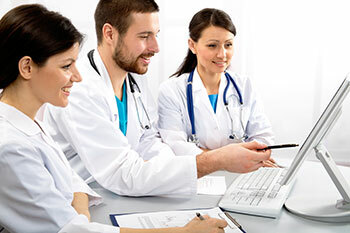 We make it our mission to keep you up to date on all the latest research, techniques and tricks so you can offer your patients the absolute highest level of care. 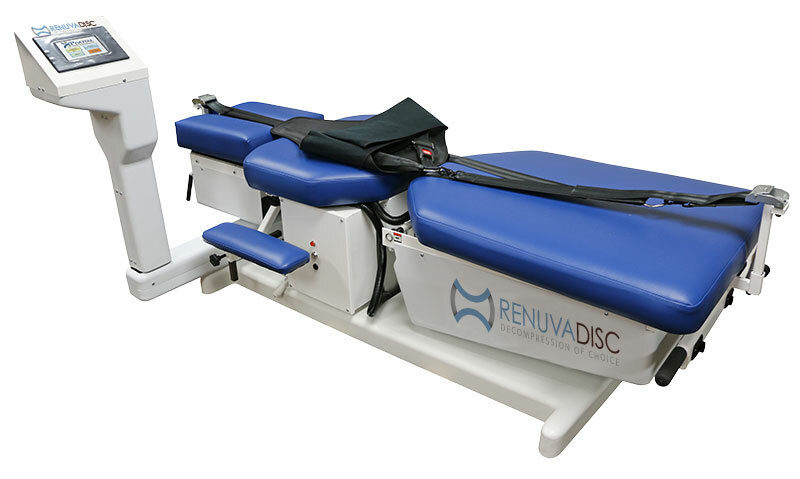 You will sleep like a baby knowing that your Renuvadisc spinal decompression table is covered end to end for both parts and warranty. 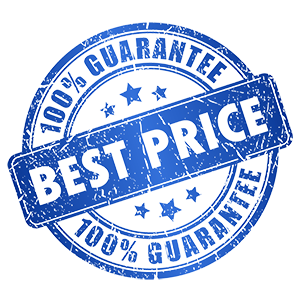 With a low price guarantee you will get one of the world's most effective spinal decompression tables without having to pay an arm and a leg. This will allow you to get a solid return on your investment. Thats why this table has been called the best table for your money. GeoMedic Solutions sold me a great Accu-Spina decompression table at the best price I could find. As a bonus for paying for the equipment in advance, I received the marketing package free. I have already filled the first combo up. A few more patients and I will need another table which I will definitely buy from Geomedic Solutions. We purchased a DRX 9000 Lumbar Decompression Table from GeoMedic Solutions for our clinic and started from scratch with Double Your Decompression in house patient marketing. Within the first month we had scheduled twenty new consultations. By month two our table was full every day from twelve to five. We are now going into the third month and have to extend our hours to accommodate all the new patients we have gotten from this program. GeoMedic Solutions delivered my DOC Decompression Table just as promised. The table arrived in near perfect condition just as they said it would. The marketing program that I got with the table has given me everything I need to be successful at spinal decompression from the very first day I started. Just purchased six RenuvaDisc Decompression Tables from GeoMedic Solutions. The service was wonderful. Each table was created and ready to ship overseas. The RenuvaLazer 60 watt is the one I would recommend. I get so many patients calling back to tell me how incredible this laser is. It fixes the weirdest stuff even when everything else has failed. The price in comparison to other IV lasers on the market; is far below market price. Just wanted to say thank you for doing a great job on repair of my DRX9000 table. 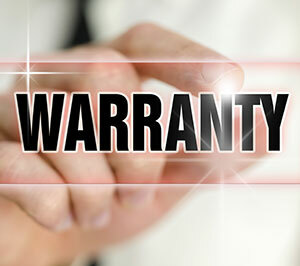 Your repair tech checked everything and made adjustments to make sure it was repaired. He did some extra things I didn't ask for. Thanks again and will come back to you in the future. When you purchase a Cervical/Lumbar Decompression Table, it will give you a 100% return on investment (ROI) within months. Based on average demographics, paying off your Decompression Table can be accomplished within months- you just need to attract approximately one new patient a month to cover your expenses related to spinal decompression! 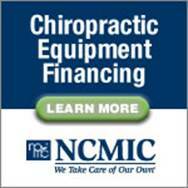 The Section 44 credit and section 179 is available on all decompression table purchases. Adding Decompression Equipment to your practice requires almost no direct time from the physician, allowing more revenue without increasing the amount of time spent! Patients are willing to pay cash for treatment — no waiting for insurance payments! Since there is no shortage of patients with back or neck pain who have tried everything else with limited success and are looking for something more effective and more permanent — they are willing to pay cash for it! This means that you can buy the table at a greatly reduced cost and will only pay as little as $6,499.80 plus shipping after credits and depreciation based on a 31% tax bracket. That’s the equivalent of 3 new patients! We accept Check, Credit Card, Lease and wire. Delivery is typically 7 to 10 days from the purchase of most tables. GeoMedic Solutions has been in the business of buying and selling decompression equipment for over a decade. 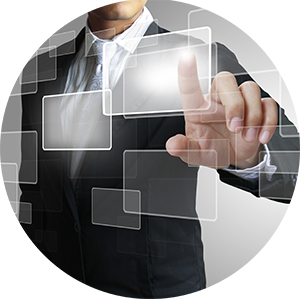 Our company offers the highest quality service in delivery, training, and repairs. Our long-term goal has remained the same since our company was founded, to consistently provide high quality, innovative new tables like the DOC and best possible deals on used spinal decompression products. 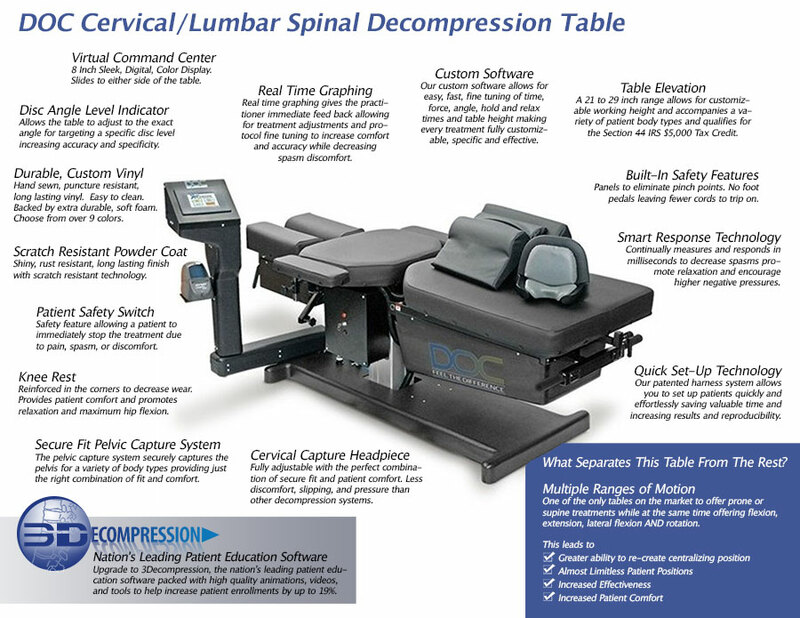 Decompression Experts offers the highest quality in warranty and best price guarantee, the DOC Cervical/Lumbar Decompression Table has become our bestselling table . With a full one your end to end warranty, and our Elite Marketing Program, it brings to you everything you need to get started in Spinal Decompression. This will allow you to get a solid return on your investment with one of the world's most effective spinal decompression tables without having to pay an arm and a leg... That’s why this table has been called “the best table for your money”.